. استمتع بالخدمات الراقية والضيافة التي لا مثيل لها بهذا الفندق في تى أناو. يمكن لضيوف الفندق الاستمتاع بالميزات التالية على أرض الفندق: صف السيارات, مطعم, بار . تنعكس أجواء Fiordland Hotel & Motel في غرف الضيوف.تلفزيون بشاشة مسطحة, غرف لغير المدخنين, تدفئة, مكتب, شرفة/ تراس هي بعض الميزات الموجود في العديد من الغرف. سواء كنت من محبي الرياضة أو كنت تتطلع لتفريغ عناء نهار صعب، ستجد خدمات ذات مستوى عالي بانتظارك كمثل حوض استحمام ساخن, حمام سباحة داخلي. مهما كانت دواعي سفرك فإن Fiordland Hotel & Motel هو خيار ممتاز لإقامتك في تى أناو. From the moment we pulled up at reception we felt welcome. The room was clean, bright and well laid out. We were sad we were only staying for one night. I would definitely recommend this place. Friendly staff. Although the hotel itself is a bit dated our room was renovated. Use of washing machine and dryer possible. Laundry detergent can be bought at reception. Like the spacious room, the recreation area (it has a pool table, ping pong table) and the swimming pool. It was fairly good. Location is not far from town but you probably have to drive. Overall, the place is a bit run down and quiet. Not many staff was working and due to the space, the hotel seems deserted. The swimming pool was a nice touch but we didn't have time to use it. i liked the place very much. the pool had clean and warm water, very pleasant after a long day of outdoor activities. bbq place is one of the best things you can ask for for a picknick night under the open sky. i do not like being charged for the wifi though which is the case here. we had a studio apartment for 3 adults. it was furnished with 3 individual beds and kitchen. we were able to do some light cooking. 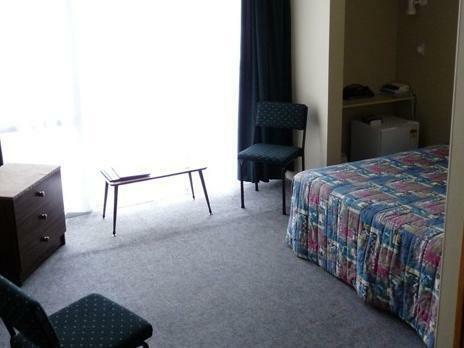 the motel/hotel is situated at the edge of te anau as you approach the town. it is very hard to miss. we had a car and getting to town was convenient, around 5 minutes drive. this is a comfortable stay for a night before heading to milford sound. We came late in the evening (around 9pm), but there was somebody that still sitting in the reception and welcome us with smile and even help us with providing a lot of information for tomorrow. The room is very spacious. 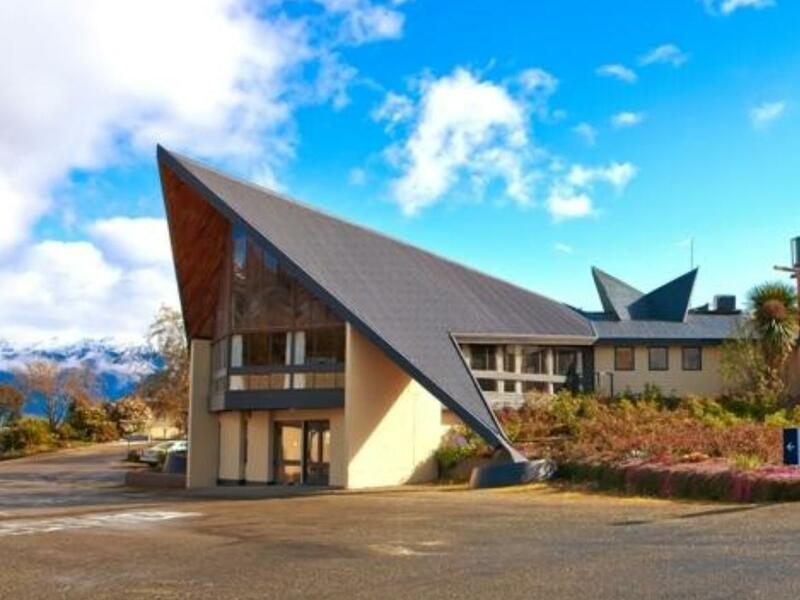 The location is perfect, once arrive in Te Anau, we can easily found the hotel. I stayed here for two nights before a week long trek. The room itself was fine, no complaints. Aesthetically, the hotel did seem quite dated, although I found this more of a charm (particularly the bar area) than a detraction. Without a car it's a good 10-15 minute walk into the town centre, which can be a bit of a pain if it's raining. So probably better suited to people with their own car. Staff were friendly and helpful. So all in all, pretty good. 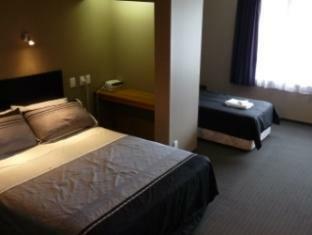 Room was fine for what we needed as we had to stay for Milford sounds trip. Hotel is Abit dated and needs to have a refresh. Hotel has a pool and Sauna. The restaurant was never open, staff were really friendly and would help with any question. Hotel is only a 10 min walk into town, which is nice and easy on one road. Room is clean, and this is important. Room is small, but this is not hampering us since we 2 adults in a room. Location is good, walking distance to town city, and lake. Good mountain view in the morning, but it would be good if signboard for room number could be a little clear, because we couldn't find our room, then only notice our room is located at 2nd floor where we had gone thru 2 buildings to find the room number. Old looking motel but rooms comfortably refurbished and nice outlook, though quite small . Very pleasant staff. Noisy bus party all got up at 4.30 first morning, spoke to manager, he assured me it was a one-off and it didn't happen the next day. Stayed in better value places in New Zealand, though compared well with other places in Te Anau at time of booking. Our stay was normal and the room was comfortable except the shower. That was the worst part of the hotel since the water was not strong enough to take a proper shower and the temperature was either too hot or too cold. Other than that the hotel was quite fine and the reception employs were great and very helpful. The hotel does not very impressive from outside but once you get in it was a nice surprise. The room is very comfortable and the bedding is superb. The location of the hotel and Te Anau itself is just perfect in order to get to Milford Sound about 2 hr drive away for the early morning boat cruise. A wonderful location for all the activities and scenery that this area has to offer. It was a handy place to stay as we did a fantastic day trip to Doubtful Sound and drove out to Milford Sound. Just happened that the annual harness racing event was on the day we arrived so that was good entertainment for the afternoon. Kitchen was a common one in a separate building from ours, but a good chance to meet fellow travellers from around the world. View from the dining room was spectacular. The room was clean, beds were fine. I liked the option to cook for yourself in the common kitchen, or as we did, eating in the dining room. After a long day hiking, it was nice to have dinner looked after. The food was good, and the bartender was generous to give us some ice to take back to the room. The hotel was located just outside the main commercial and tourist area which made it quiet and peaceful. It was suitable for us as we were driving our own car. The rooms were spacious and well appointed with a fridge, water kettle and television. My husband and i originally booked for 1 night and extended it to 3 nights, unfortunately we had to move on to our next town or would have stayed a week.Room was huge with two queen beds and new bathroom. Price was 125NZ per night with full buffet breakfast for two. Reception staff ( Jo ) absolutely fabulous, extremely helpful. Walked down the hill in 5 minutes and we where in the centre of town.Highly recommend this hotel. Though the building looks quite old the rooms and bathrooms are quite new. Nice external seating area. The heated spa pool is also a bonus after a long day! Location is fine but about a 15 minute walk from the town centre or a 2 min drive.